Digestion is the process in which the foods we consume are broken down into smaller food molecules so they can be absorbed. The body depends on digestion, as it allows energy and nutrients to be utilized to carryout critical physiological functions. And by incorporating these best foods for digestion, you can speed up the process and optimize health! Oats are considered a whole grain, supplying fiber, vitamins, and minerals refined and processed flours mostly lack. In fact, that morning staple burst with fiber, supplying four grams of cup per one cup cooked. From blueberry almond to coconut cream pie, transform oats into one of these delicious and nutritious overnight oatmeal recipes! Snack without all the guilt! 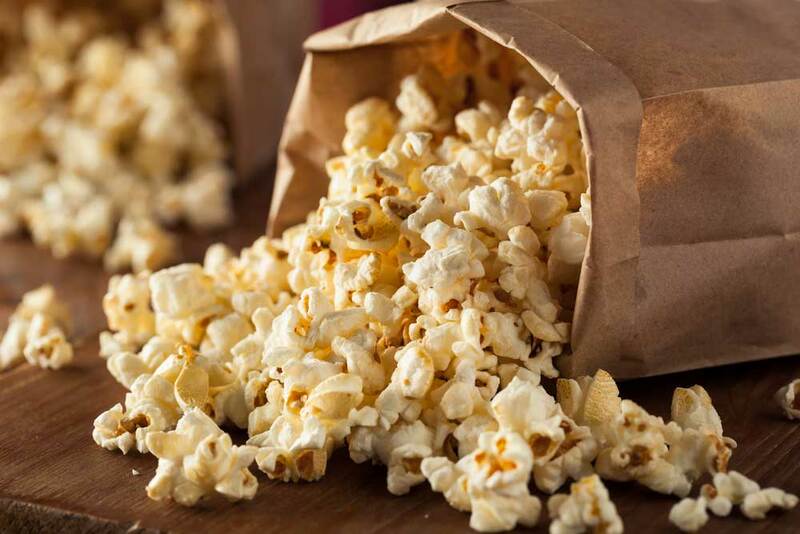 Supplying 93 calories and three grams of fiber for a whopping three cups, air-popped popcorn is a beneficial whole grain to speed up digestion. The fiber mostly found in popcorn is insoluble, remains in its whole form, bulks stools, and promotes regularity. Including oats and popcorn, additional whole grain sources include barley, corn, millet, quinoa, rice, rye, and wheat. Chia seeds are much more than the filler in the old-school chia pets… The tapioca-textured seeds have shown to be highly beneficial to health, mostly related to its unique supply of mucilage, a type of viscous and gelatinous fiber extracted from plant roots and seeds. 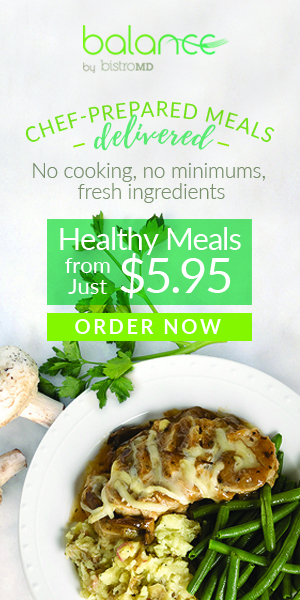 Beans are notoriously known for their fiber content, supplying an average of 15 grams per cup! 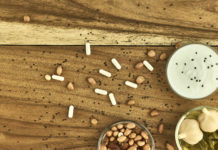 They are also a plant-based protein sources, making their use valuable for individuals following a vegetarian or vegan lifestyle. Beans are extremely versatile, including their use in soups, chili, tacos, casseroles, and rice dishes. Though apples continue to be advertised to keep the doctor away, bananas can help improve digestion related to its fiber and potassium content. 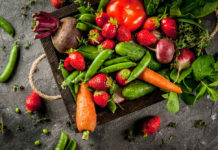 Potassium, an electrolyte, helps keep the muscle in the gastrointestinal tract moving while the fiber it supplies offers bulk and may promote a healthy gut. Although not filled with fiber or technically even a food for that matter, water is imperative to keep fiber working efficiently and reducing the risk of constipation. General recommendations encourage healthy adults to drink a minimum of eight, 8-ounces glasses of water per day. 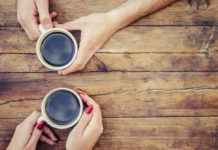 Unsweetened coffee and tea can also contribute to healthful fluid intake, though their intake is encouraged to be limited to 400 milligrams per day. Yogurt is basically fermented milk, undergoing the fermentation process with its natural carbohydrate source (lactose) and added bacteria (including lactobacilli and bifidobacteria). Greek yogurt is also extremely versatile, including its use in Greek yogurt coleslaw, cranberry Greek yogurt bark, and maple cranberry yogurt parfaits and offers these benefits, even beyond digestion! Kombucha is essentially a sweet tea fermented with yeast and bacteria cultures. A SCOBY (Symbiotic Culture of Bacteria and Yeast), also known as a “kombucha mushroom” prompts its health benefits, including digestive health. If the craze of kombucha intrigues you, here’s what to look for when buying it. Similar to kombucha, kefir is produced with a SCOBY, ultimately supplying its rich healthy bacteria for improving digestion. The fermented milk drink has been used to relieve a wide variety of intestinal disorders and helps reduce flatulence and bloating. The pungent and spicy flavor of ginger often compliments Chinese cuisine, though it also presents with a long health history. In fact, ginger has shown to help digestion and relieve nausea, with studies further demonstrating taking ginger can reduce nausea and vomiting in pregnant women. The use of mint for health and GI symptoms has been around for hundreds of years, as it helps stimulate GI muscles and allows painful digestive gas to pass. The muscle relaxation also allows food to move down the GI tract with more comfort and efficiency, even showing to improve irritable bowel syndrome (IBS), a chronic condition that affects the large intestine and may cause cramping, abdominal pain, bloating and gas. However, indigestion symptoms related to gastroesophageal reflux disease (GERD) should not be treated with peppermint, as its use can exacerbate painful symptoms. Sipping on chamomile has been praised for the healthful benefits it offers, including it use in digestive complications. The herbed tea may improve gas, diarrhea, nausea and vomiting, as well as motion sickness. 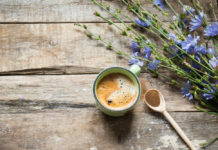 Anti-inflammatory characteristics have further demonstrated the effectiveness of chamomile and gastrointestinal inflammatory disorders, including diverticular and inflammatory diseases.